Your time is precious. What if I told you that you can cut your time significantly when you prepare your meals. Would you be interested? I think so. Yes, there is a better way with BulbHead.com. If you have a family you know exactly how often you are in the kitchen cooking, spending a large amount of time in doing so. And, even if you are single, you still spend time in the kitchen. Find a quicker way to fix your foods by using either a Red Copper 5 Minute Chef, or a Red Copper Flipwich from BulbHead.com. Thank you BulbHead.com for providing me with both products for the purpose of this review. All opinions herein are 100% my own. Like most of you, today was a busy day for me. I spent most of the day painting. Time and daylight was crucial so spending a lot of time in the kitchen fixing a hot lunch was out of the question. I decided to try out the Red Copper Flipwich. 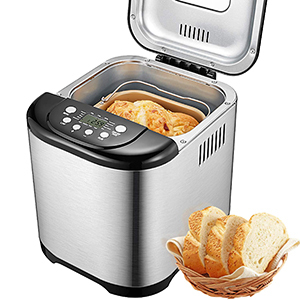 I simply love this stovetop Panini and sandwich maker. The maker is light and easy to handle. It has aluminum induction plates to provide rapid and easy heat distribution, riveted handles which are strong and durable, as well as a handle clip which locks tight. What I appreciate is that the handle stays cool while cooking. The Flipwich also has a non-stick, anti-scratch surface allowing your food to simply slide onto your plate. For lunch, my sister and I prepared ham and cheese Paninis. Following the guidelines in the included instructional pamphlet, I was able to make lunch for 3 within just a few minutes. I asked my brother-in-law how he liked his sandwiches. He gave me a thumbs up. Just look how delicious this sandwich appears and it tasted as good as it looks. Clean up was a breeze, as well by simply wiping it clean with a paper towel after the maker cooled. Paninis are not the only food that the Flipwich can prepare. You can make Stuffed French Toast, Pizza, Burgers, as well as breakfast sandwiches and desserts. The Flipwich also comes complete with a recipe booklet. The Red Copper 5 Minute Chef was just as easy to handle as the Flipwich. I love the sleek design of this product. Here I am preparing my breakfast. I placed an egg in a bowl and scrambled it, then placed it in the 5 Minute Chef, along with a couple of meatballs. This is what my normal breakfast is, since I am on a diet. No more microwaving my breakfast and fighting to get the bowl clean afterwards. In just a few minutes, my breakfast was ready, and again, clean up was a breeze. The 5 Minute Chef cooks meals, snacks and desserts in just a matter of a few minutes. As you have seen on television, all you do is just fill the 5 Minute Chef with your food, close the top and cook it. This electric meal maker is able to cook omelets, burgers and sliders, as well as fun desserts easily with its scratch resistant dual cooking surfaces. The non-stick surface is made of a copper infused ceramic. I love the fact that the handles stay cool even during the cooking process. And like the Flipwich, the 5 Minute Chef electric meal maker also comes complete with a recipe guide and spatula. Be sure to visit BulbHead on their web site. And, follow them on Facebook, Pinterest, Twitter, and Instagram. You can purchase either the Flipwich, or the 5 Minute Chef, as well as other fine Red Copper products online at their web site. Plus, the company offers free shipping on orders over $50. I really like the convenience of both the Flipwich and the 5 Minute Chef, as well as the variety of foods that I can cook with these two products. I am sure that once you have an opportunity to use these products for yourself, you will wonder why you waited so long to get one for yourself. Of course, they also make great gifts, especially for newlyweds.